Vizio Smart TVs are affordable, entry-level options into the smart TV market. Many of the TVs also have 4K resolution with UHD and HDR capabilities. Best of all, you don't even need a remote to operate the television. You can do it all from your phone. Here's how using the Vizio smart TV remote app. Don't throw away the normal remote just yet. If your Vizio Smart TV needs to be reset, one of the only ways to do this is with the physical remote through a series of key strokes. While there are ways to perform a hard reset using the buttons on the back of the television, it's less than ideal. The first step is to download the Vizio Smartcast App from either the Google Store or the iOS App Store, depending on your mobile device. Open the SmartCast app on your mobile device. 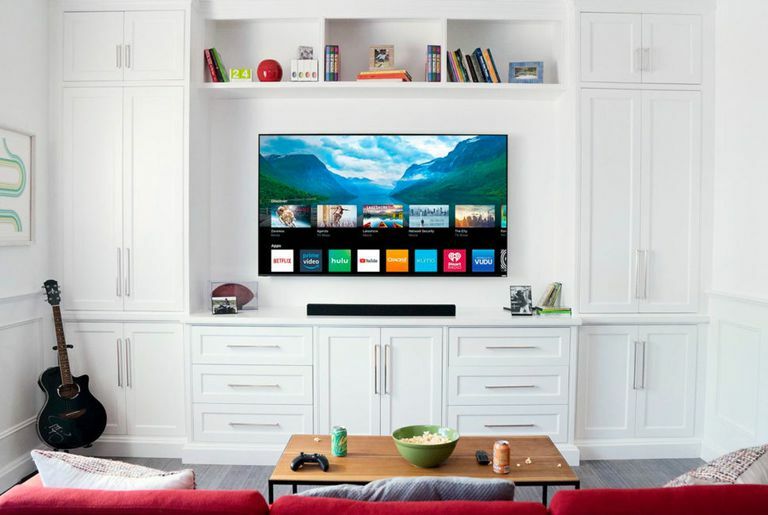 The SmartCast app lets you control your smart TV's app offerings directly from the phone, including Netflix, Hulu, iHeartRadio, and many other options. However, you'll need the relevant app downloaded and set up on your smartphone beforehand. At the bottom, tap Control. It looks like a television with a subwoofer in front of it. Tap Devices in the top right corner, then select your television from the list that appears. If you do not see your television on the list, make sure your phone is connected to the Wi-Fi network. If that still doesn't resolve the problem, check your television and make sure it is configured on Wi-Fi or through an Ethernet cord. Once you've selected the television, the control menu will appear. From this screen, it operates much like a normal remote. You can change the input, turn the television on and off, change the video mode, and more. Swipe to the left to access the movement screen, which allows you to control the television like you would with the directional pad.